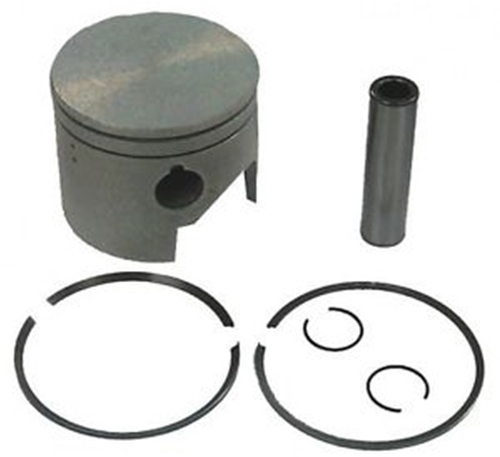 Johnson Evinrude OMC Piston Kits. For Models: 1995-1998 50HP, 1986-98 60HP, 1987-95 65HP, 1986-94 70HP. These kits come in Standard Bore 3.00 and 3.187 Standard Size, .020 Oversized and .030 Oversized. Verify Bore size before ordering. All Piston Kits include Pistons, Piston rings, Wrist Pin and Circlips. One kit required for each cylinder.